Yes, there is room for annual flowers/plants in the lawn of perennial flowers/plants! 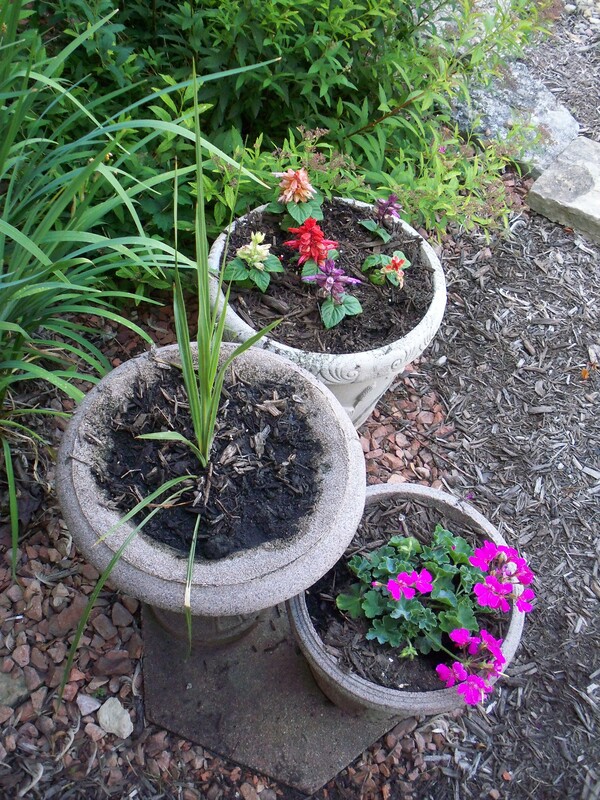 We choose to use containers for annuals. Last year I planted “Wave” petunias in the old containers. 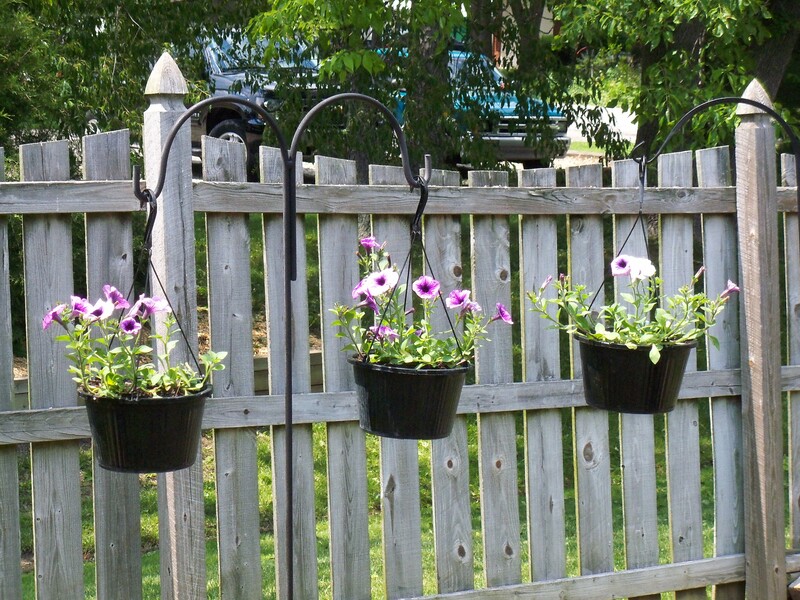 These hang like photos on a wall in an indoor room by decorating the fence “wall”. Cost = $3 each. 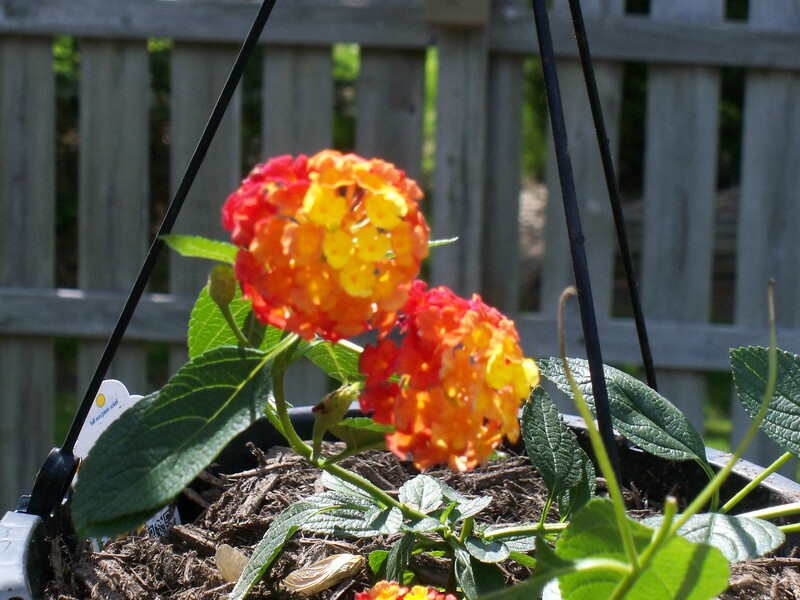 I planted lantana and verbena this year….”Citrus” and “Raspberry” photos below. 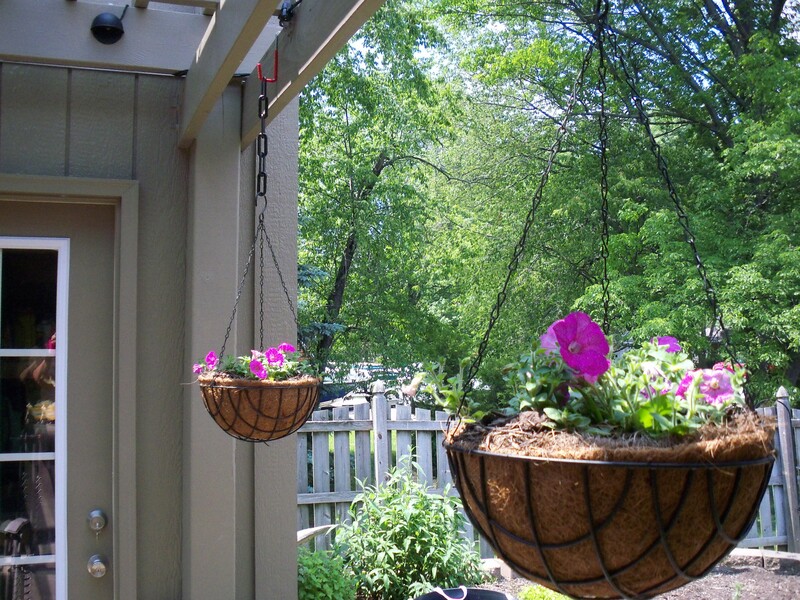 The next project was filling hanging baskets. 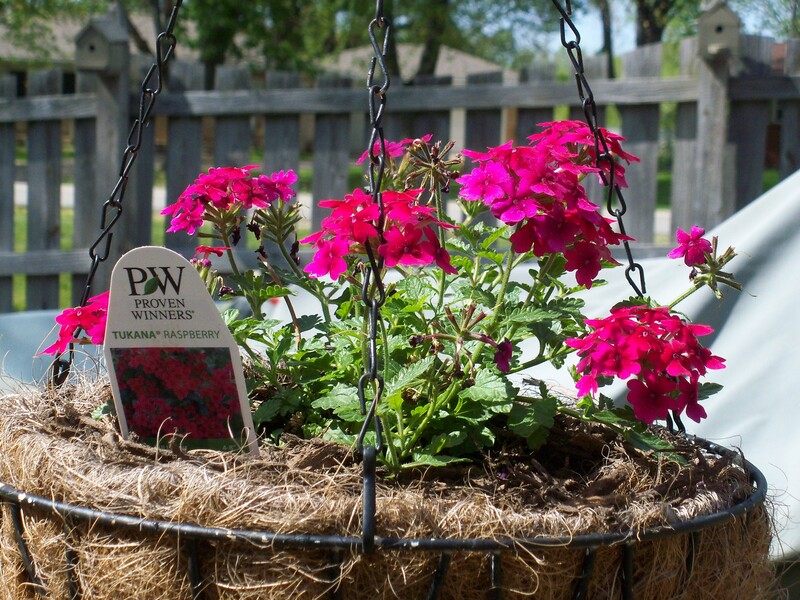 These have another variety of “Wave” petunias. We did three more baskets with begonias. Cost = $5 each (including new cocoa fiber liners). Three pairs of foam containers flank the front porch step. My tradition/habit is to have geraniums and spike plant (foliage). I choose variegated Salvia for the largest of the containers. Cost = $4 each. 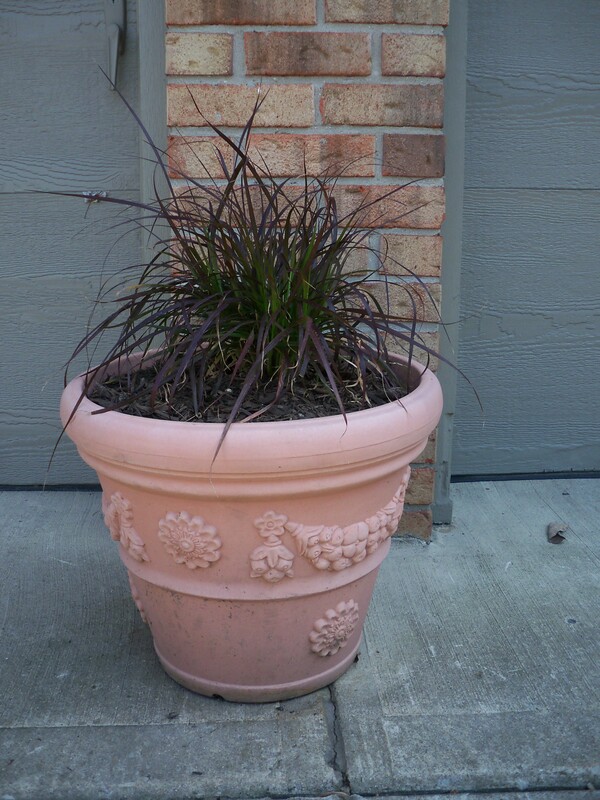 Last but not least is a pair of containers for purple fountain grass by the garage doors. This terra-cotta looking container has weathered well over 10+ years (unlike the real thing). Cost = $8 each. Container contents Total = $74 plus some potting soil and mulch to top off.